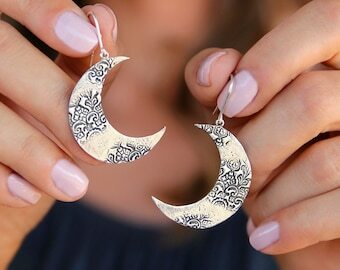 Boho Jewelry, Boho Necklace: A solid disk of sterling silver is embedded with a retro boho chic fashion texture, oxidized and hand spot polished to brilliantly highlight the contrast in the pattern. Pretty, unique, and so striking we know you will get compliments every single time you wear your Bohemian style necklace. Add some hippie flair to your fashion accessories this season! Wow! It was more beautiful than described. I want to wear it every day! It looks so good and I've received many compliments. Great to work with every time! 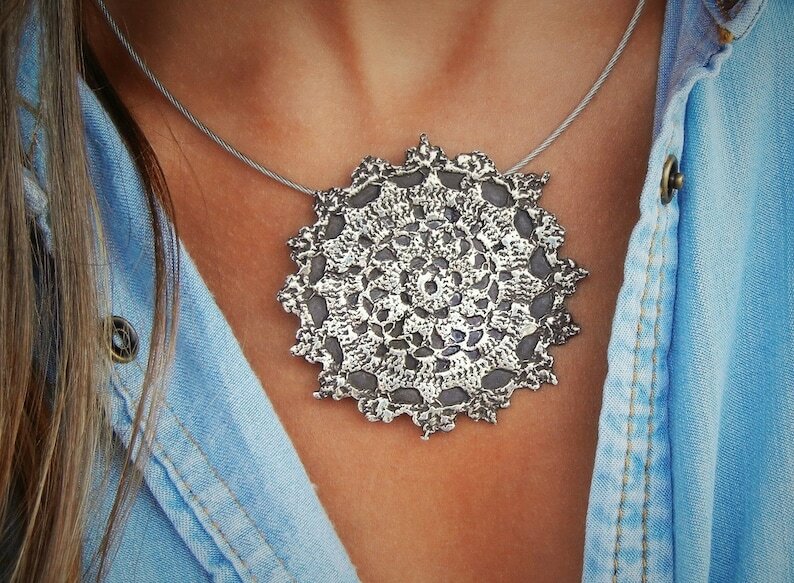 Very pretty statement piece that goes with almost most everything! More than happy with it!